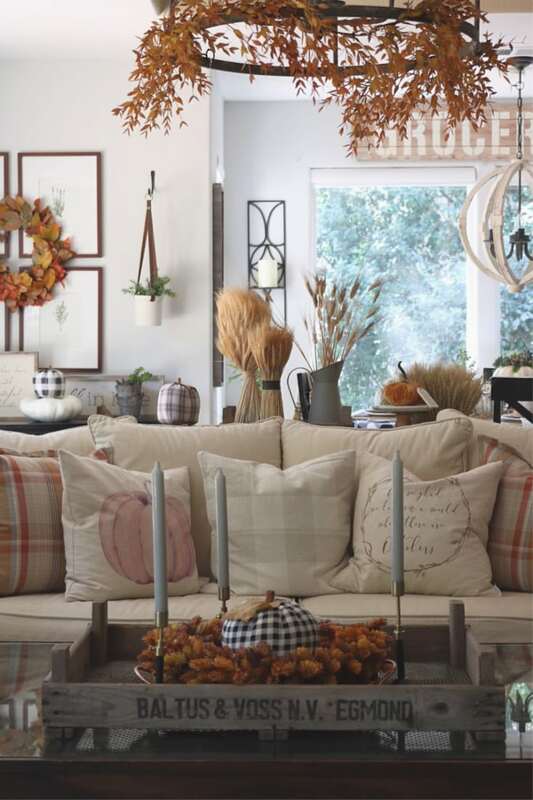 Welcome to my Cozy Fall Home Tour! Fall is happening! Which means it’s time to decorate! 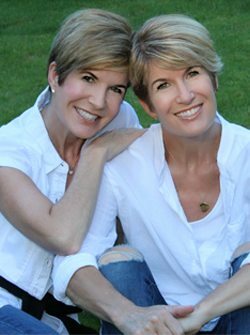 When Jodie and I think of fall, we think of cozy nights, pumpkin spice lattes, and leaves turning gorgeous shades of red and orange. 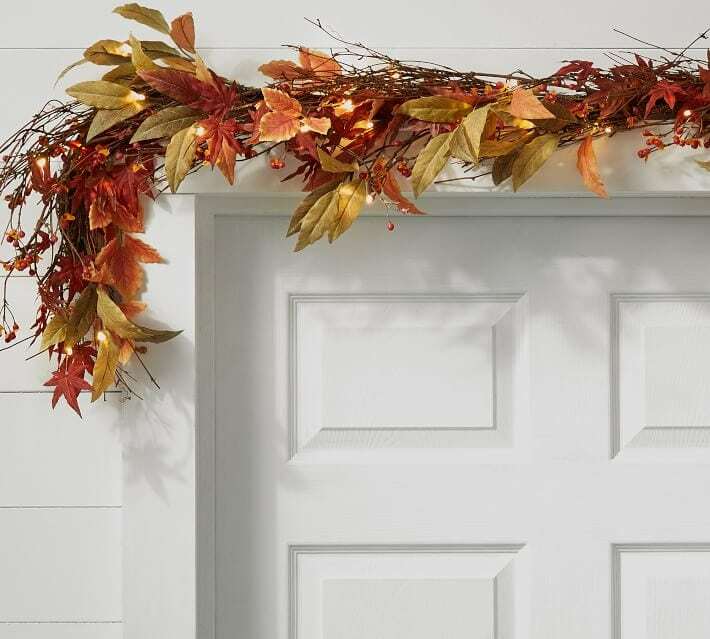 It just might be our favorite season to decorate for! 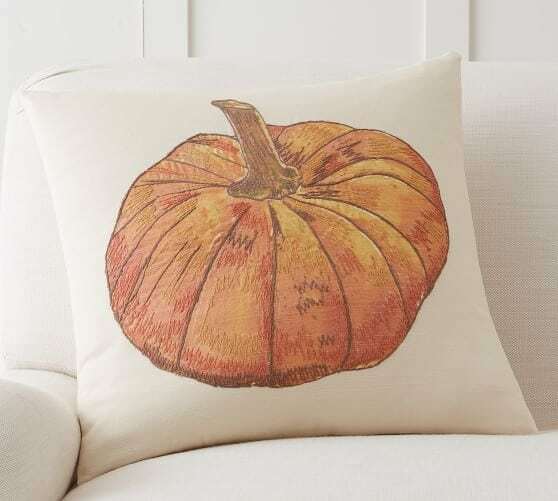 It’s all about warm color schemes, cozy pillows and throws, and pumpkins galore. 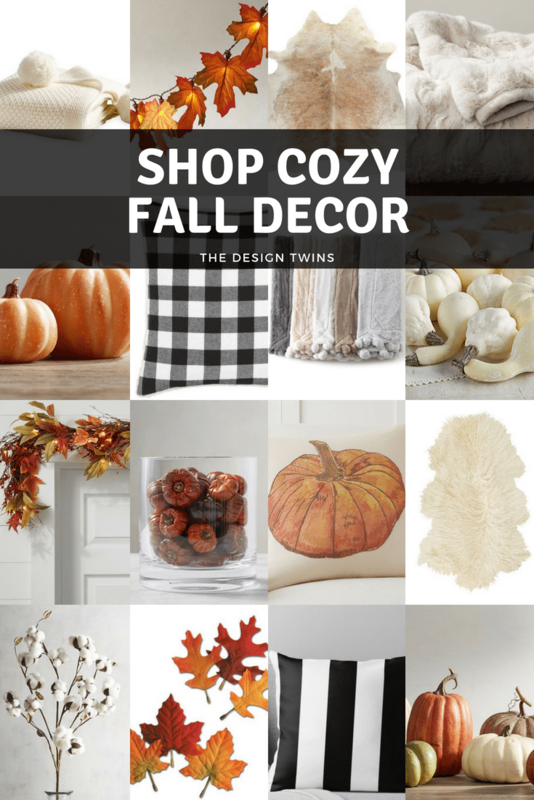 We want to show you some of our favorite decor items to create the perfect cozy look for this season. 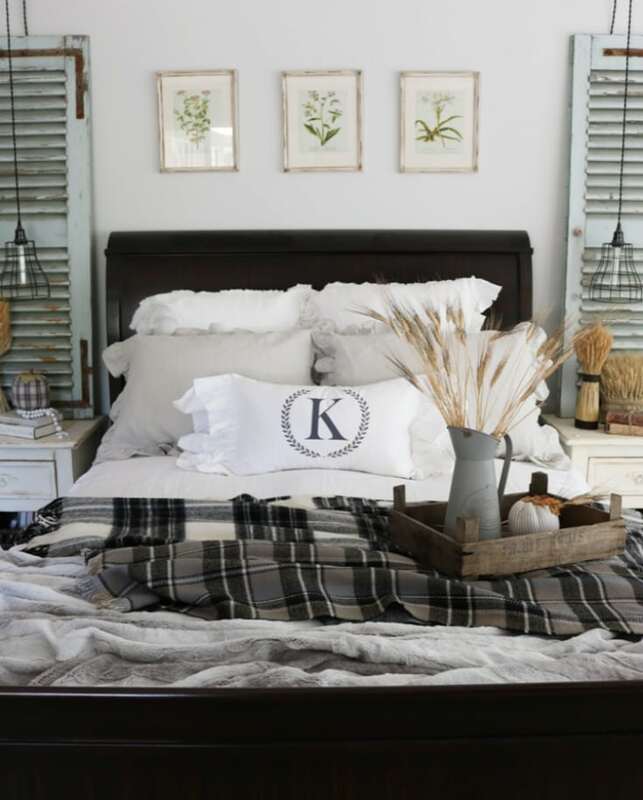 We especially love chunky knit throws, farmhouse plaids, plush pillows and cozy rugs. 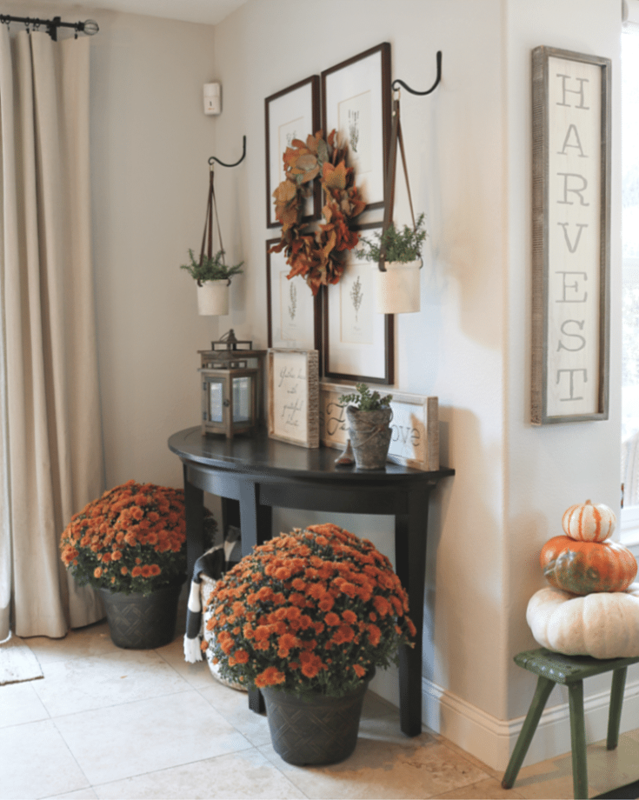 Keep reading to find out how to seamlessly transition your decor from summer to fall! We use affiliate shopping links. As you may notice we don’t have ads on our blog. Affiliate links are how we can afford to create this blog for you to enjoy. 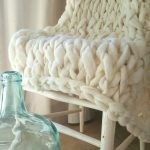 Visit our blog shop for more choices. We update our shop at least once a week with new favorites. We are truly grateful for your support. 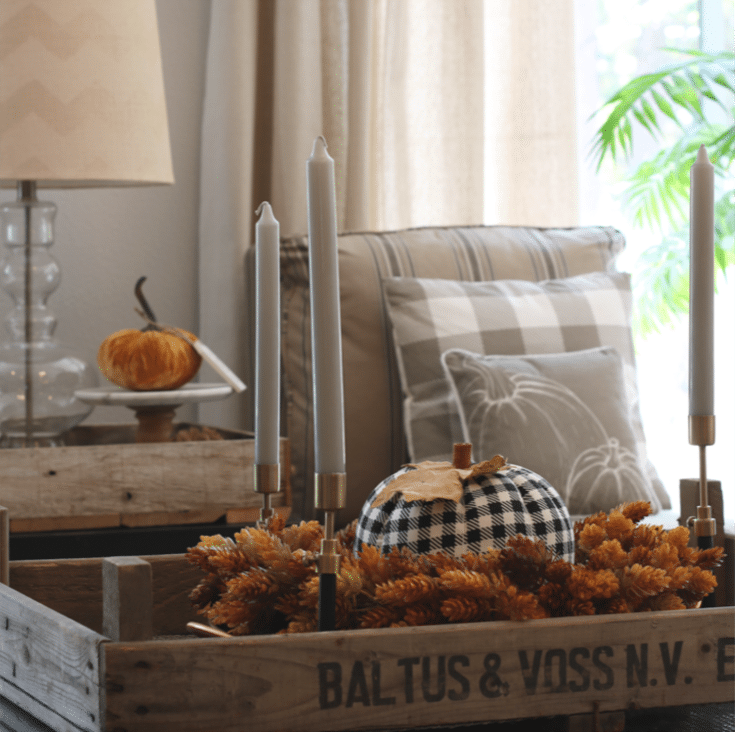 Welcome to my cozy fall home tour! 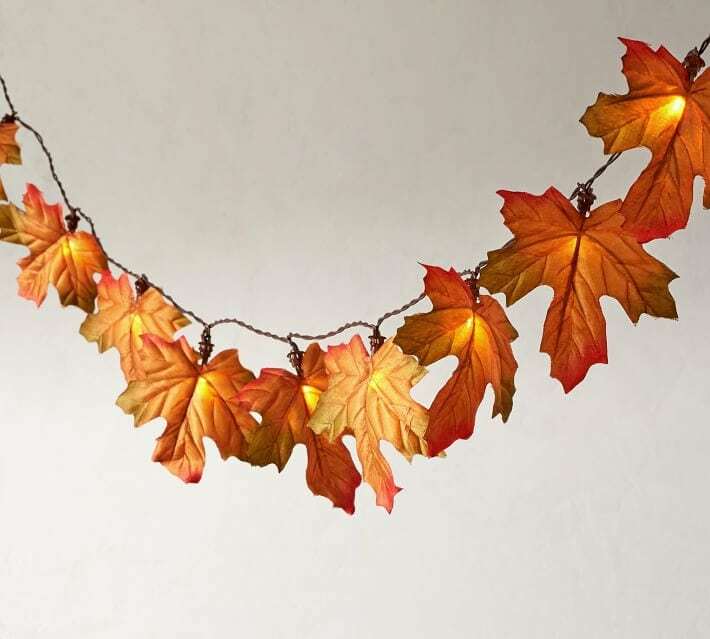 As you can see, I have just a little bit of fun decorating for fall! Even if I repeat elements year after year I always find fresh ways of putting it all together. That’s the fun part. 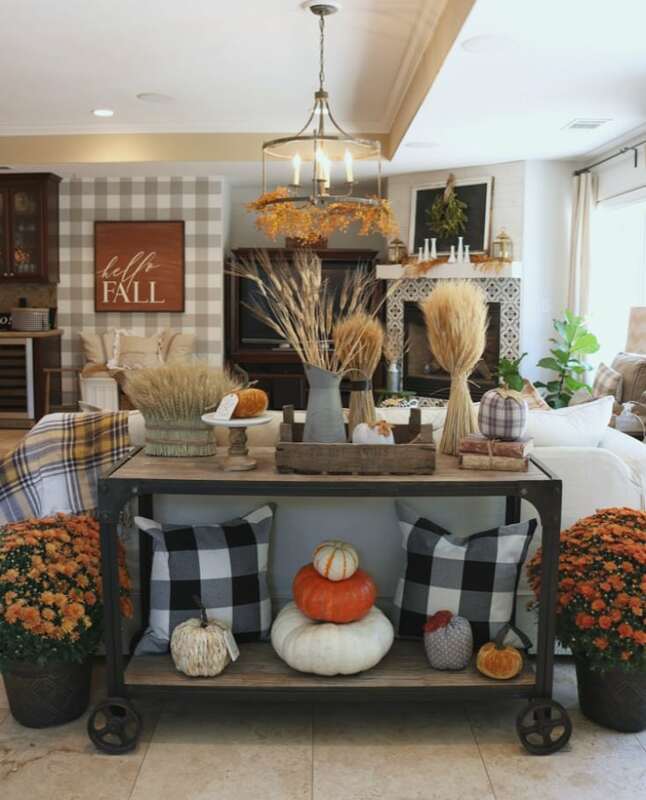 Make sure to visit Julie’s Fall Home Tour for more decorating inspiration! 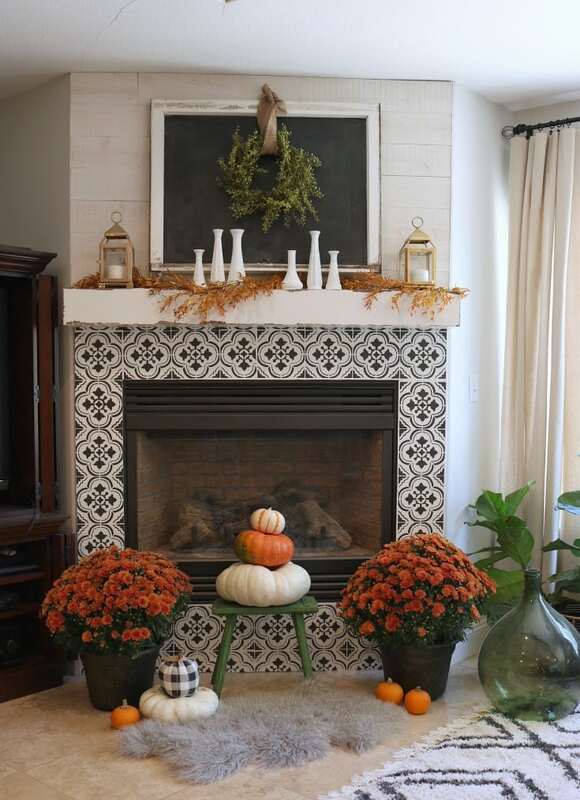 Everybody knows fall is all about cozying up by the fireplace with a hot drink and spending time with loved ones. 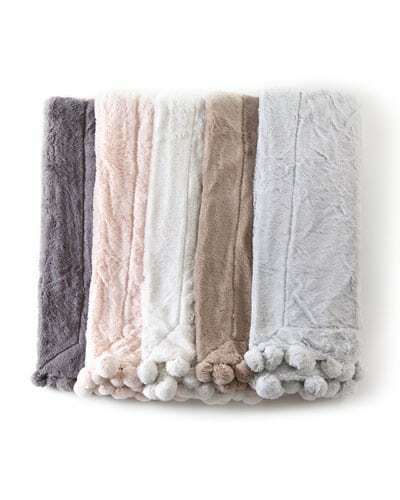 And what is a cozy night by the fire without a comfy throw to wrap around you? 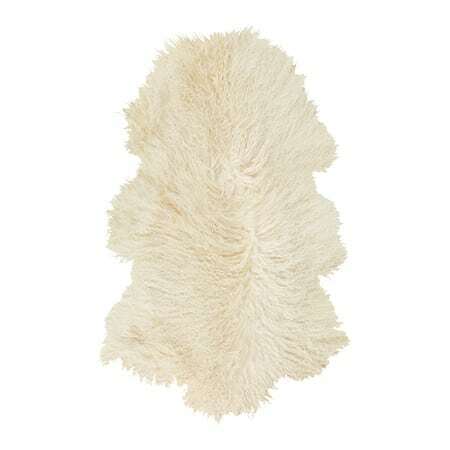 Not only do they add texture to a space, but they are perfect for cuddling up with your hubby or little ones! 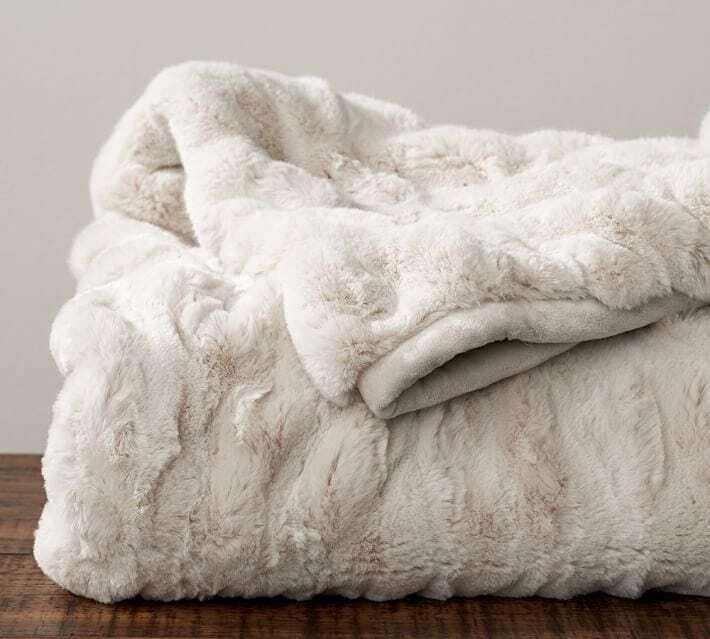 Here are some of our favorite throws to keep on hand as we face the colder months ahead. We are literally obsessed with plaids during this time of year. 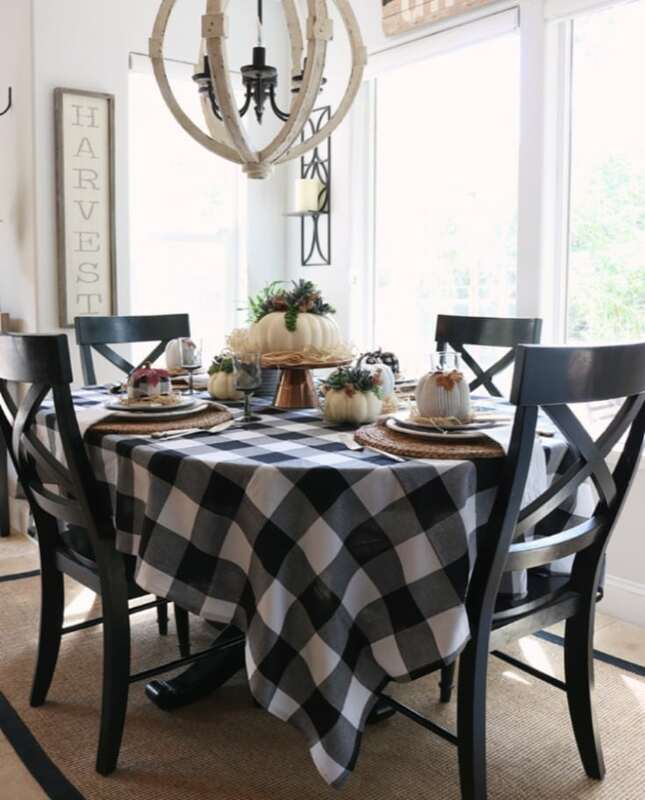 Whether it’s your favorite cozy flannel for Friday nights at the high school football game, or a trendy buffalo check table runner, you can’t go wrong. 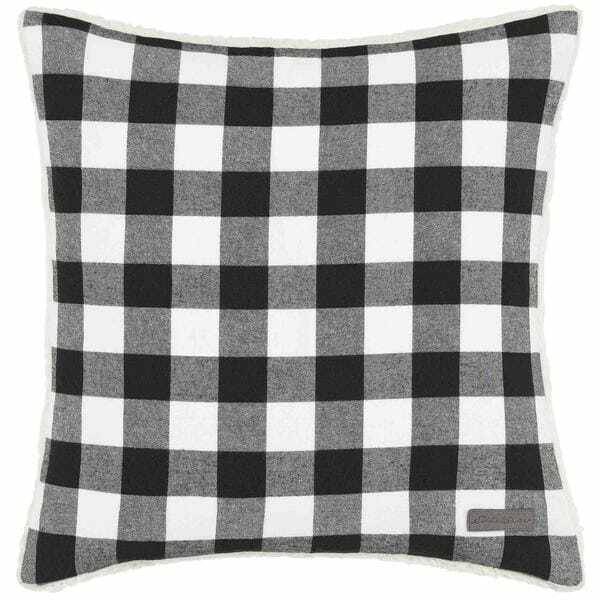 Help welcome in these chilly months with some of our favorite plaid decor items. Our ideal autumn nights are filled with family movie and game nights. 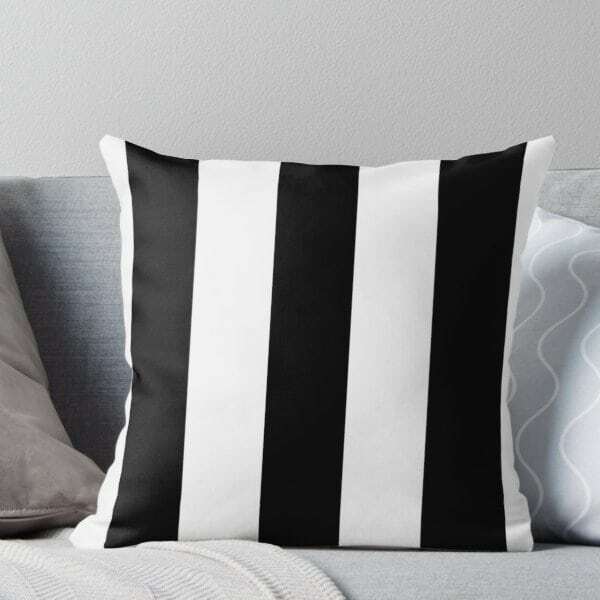 Liven up your seating with some of our favorite cozy pillows! Erin @porterlanehome is our favorite pillow maker. She has so many gorgeous choices and all her pillows are exceptionally made. When you shop with Erin you can use our coupon code to save 20% on all your orders! 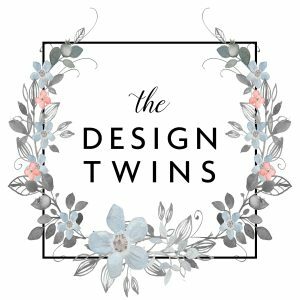 Use our code: THEDESIGNTWINS. 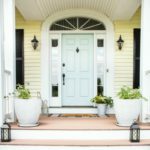 Shop Porter Lane Home on Etsy for awesome savings! 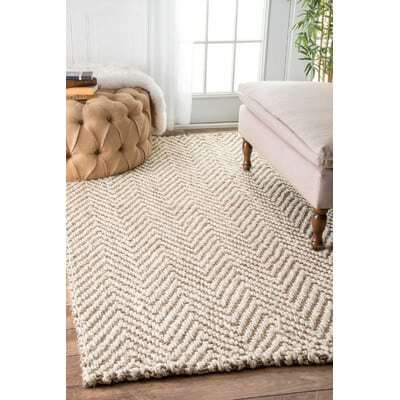 Keep your toes cozy and warm with these plush rugs that instantly make a space cozier and inviting to guests. 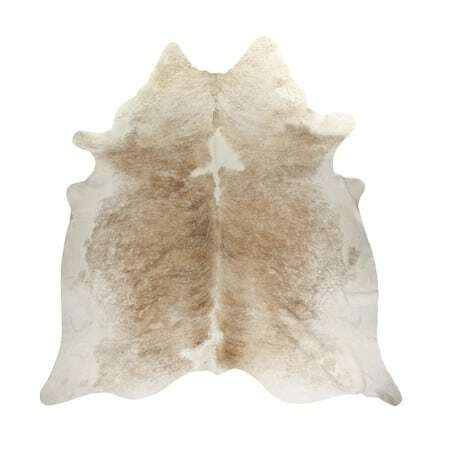 Add a little extra spice to your living area with these accent pieces that welcome the transition from summer. 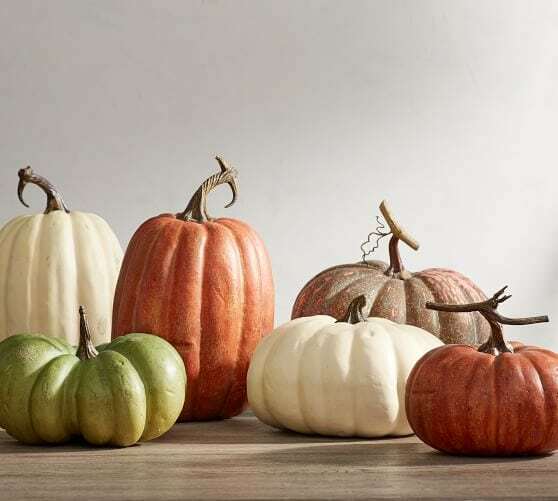 Add some faux pumpkins or a festive leaf garland to your central mantlepiece as a focal point for your living space. 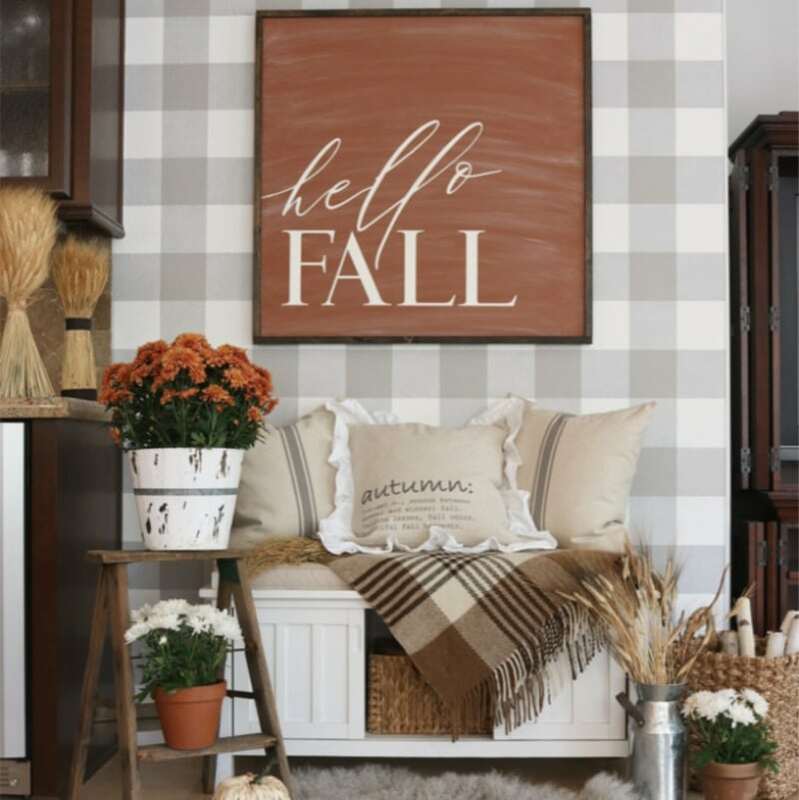 We hope some of these decor ideas get you inspired and motivated to decorate for fall! 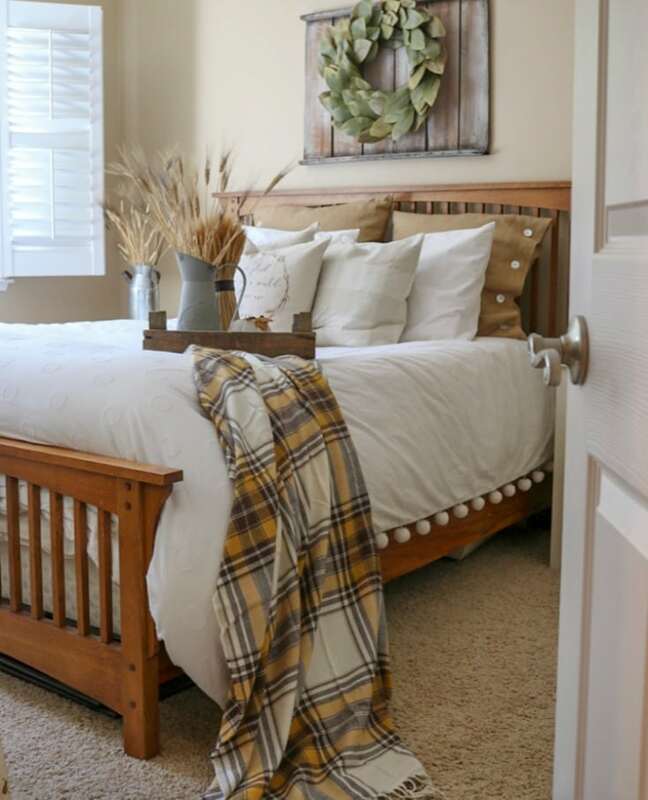 We want to help you create a space that is warm, comfortable, and your family can make lasting memories in. Seasons changing can be stressful, but it can also be exciting and a time for new opportunities. 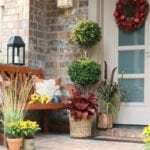 Let your home evoke this seasonal transition in a welcoming and unique way! 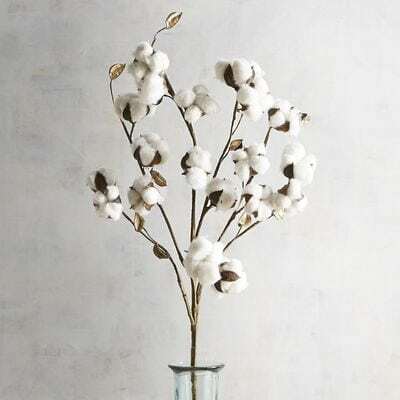 Don’t forget to visit our shop and browse some of our favorite new pieces! 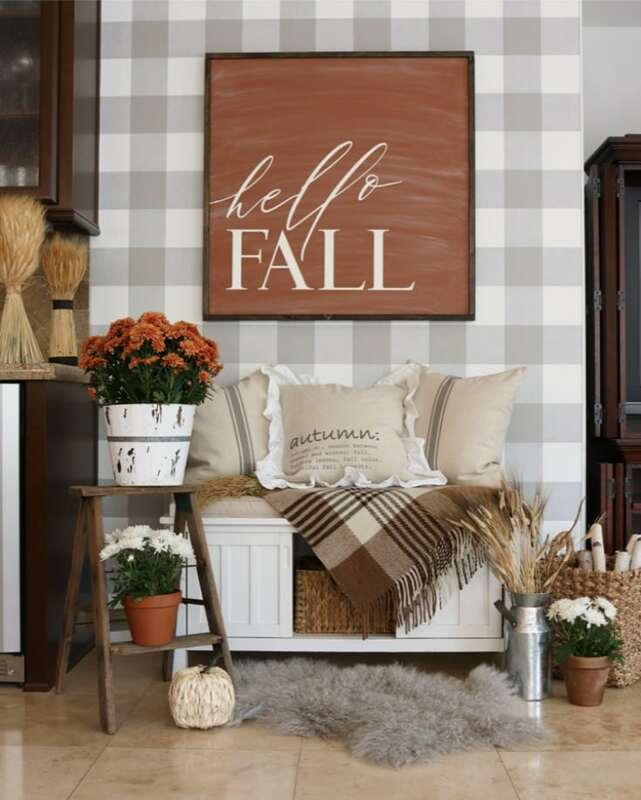 Happy Fall, and happy decorating! 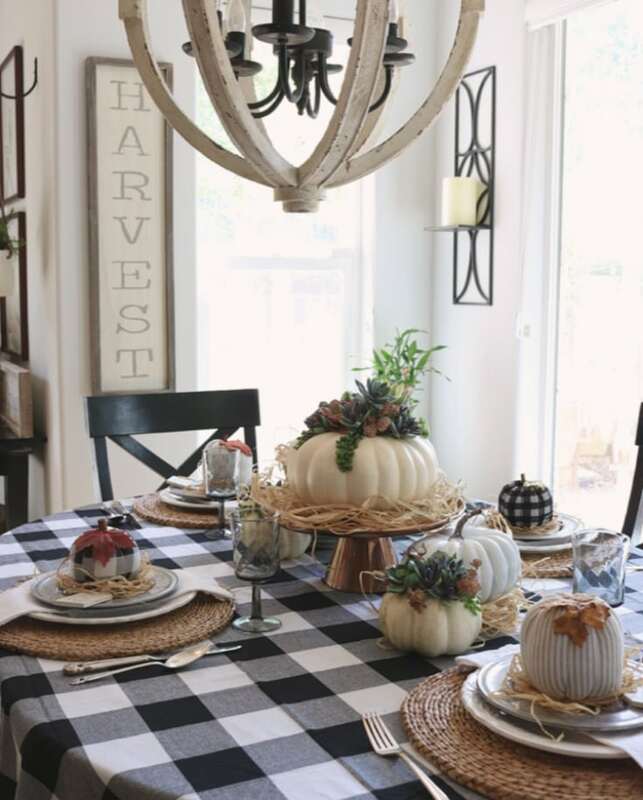 If you want some more decorating inspiration, make sure to visit our sweet friend Janine at Happy Happy Nester for her exquisite fall home tour! 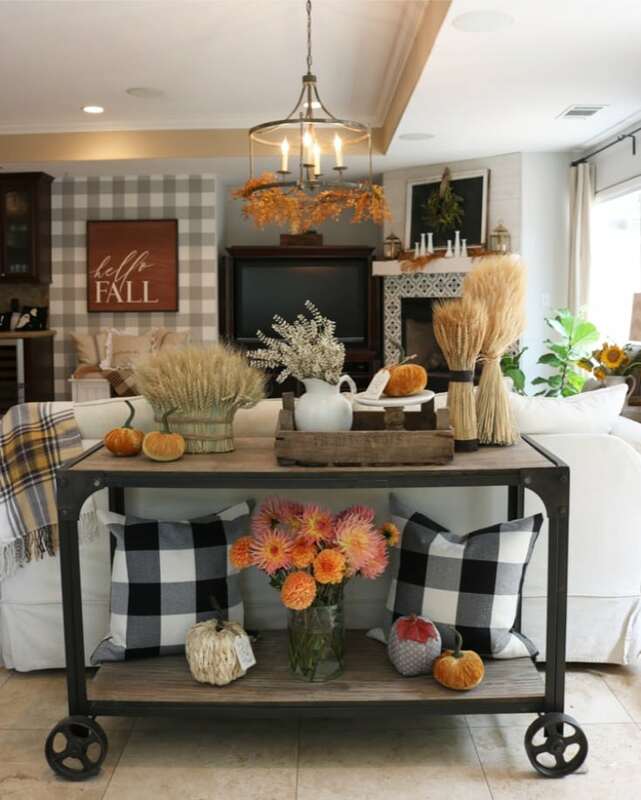 We sure hope you’ve enjoyed this cozy fall home tour! Are your creative juices flowing? We sure hope so. 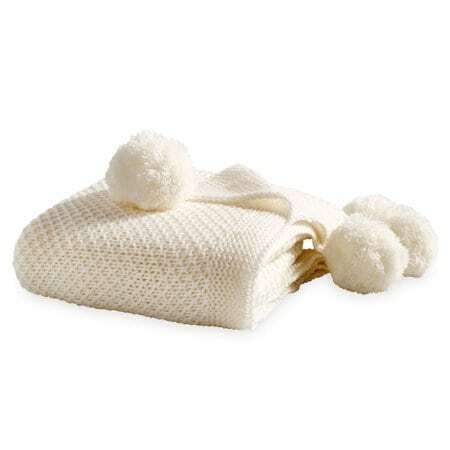 Thank you for reading our blog and shopping our affiliate links. We always appreciate your supporting our blog work in this way. Happy Fall Y’all! 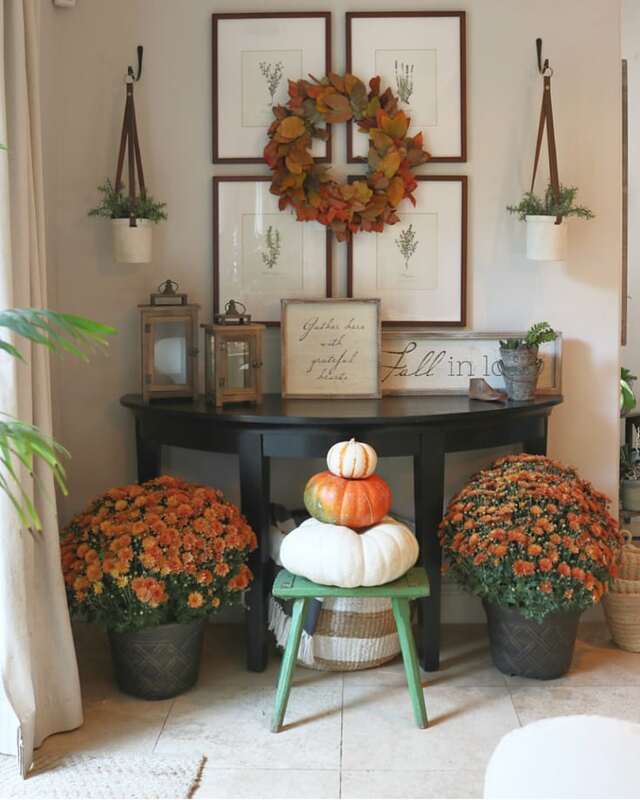 Don’t forget to check out Jodie’s Fall Home Tour and Julie’s Fall Home Tour from last year for even more fun seasonal decorating ideas! 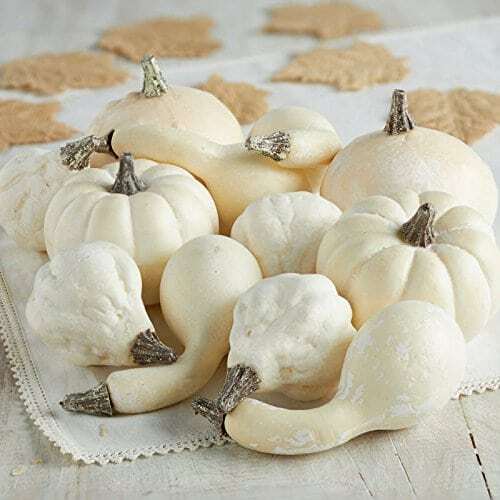 Looking for amazing fall recipes? 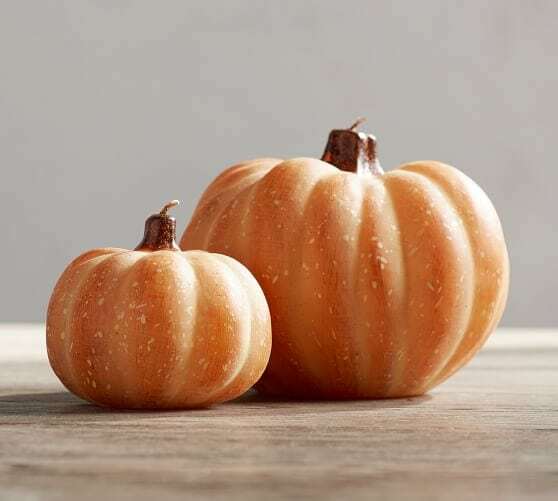 Visit our recent blog post The Ultimate Easy Pumpkin Spice Recipes for Fall. 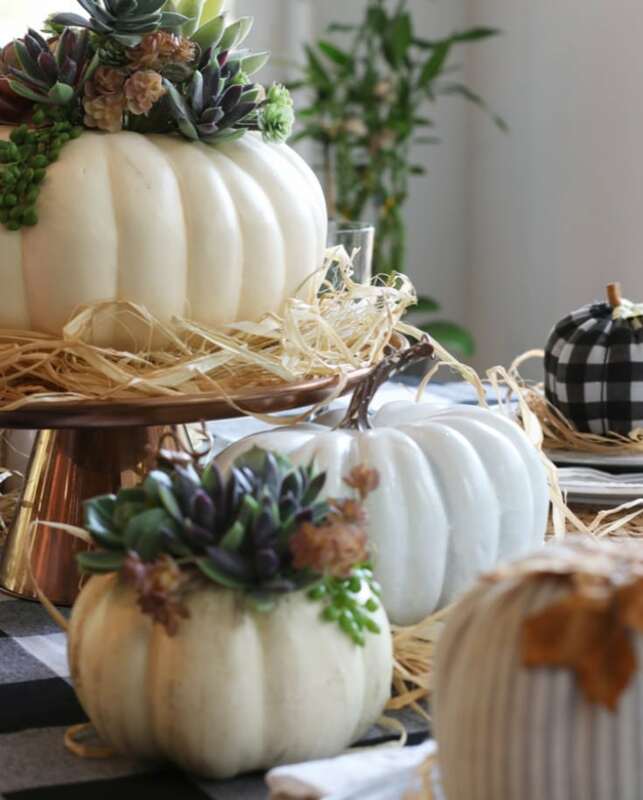 And if you are in the mood for Halloween decor join us for our spooky design post How to Create a Magical Halloween Tablescape. 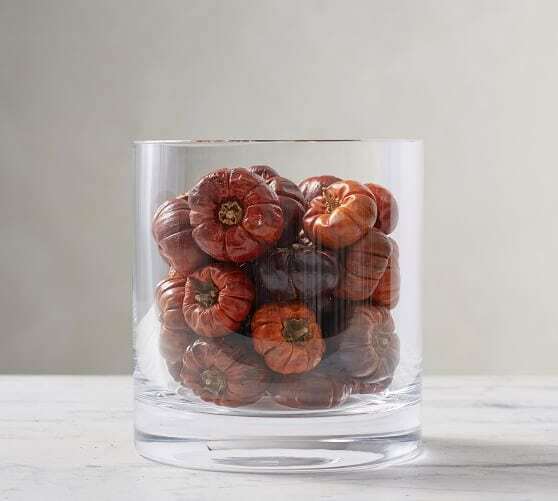 Looking for inspiration to start decorating for fall? 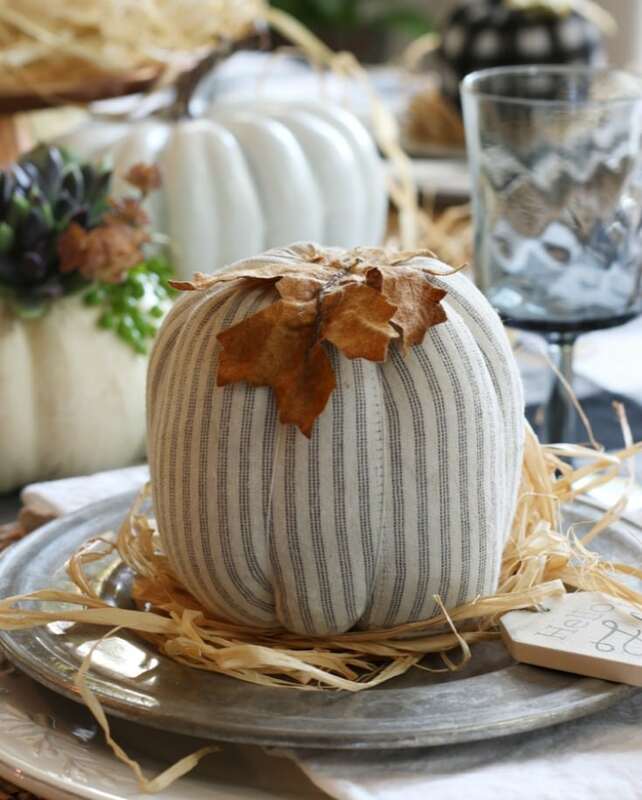 Here are some of our favorite décor items to instantly create a cozy fall look! Happy Fall y'all! Your house is gorgeous. You are so talented. I LOVE your style. Do you mind tell me how you hung the wreath with the four pictures behind it. I’d love to do that. Would love to know where the table behind the table is available for purchase. Your home is lovely. Wowza! Such beautiful rich color everywhere. 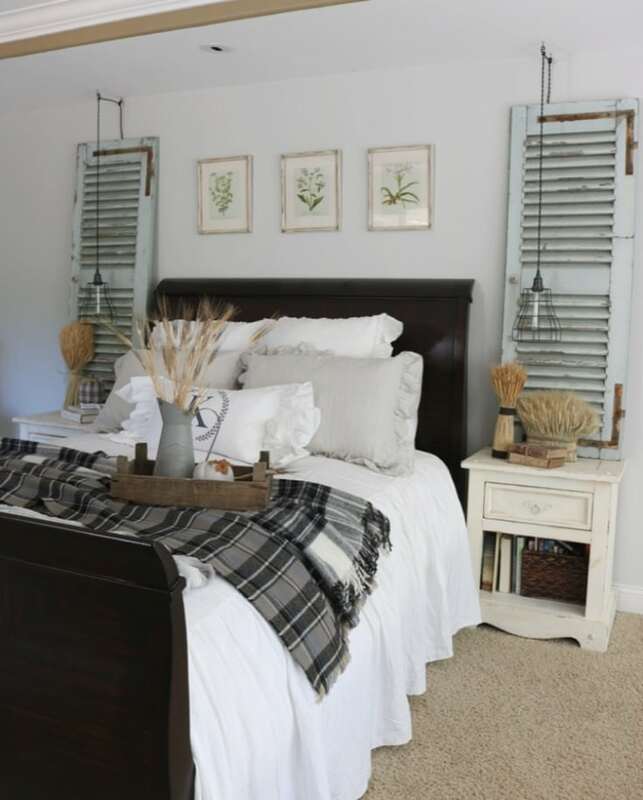 I’d love to cozy up in your home but would never want to leave. Thank you for sharing your tips too. It’s all so perfectly fall. 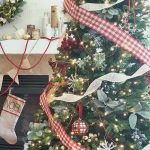 Super cute decorations! Where is your bar car from?